Born in Reggio nell’Emilia the 05/02/1969. From 2002 takes part in Italian and international championships. From 2007 begins his professional career playing regional championships, plays the Alps Tour and the Challenge Tour and for three consecutive years the qualifying round for the British Open. 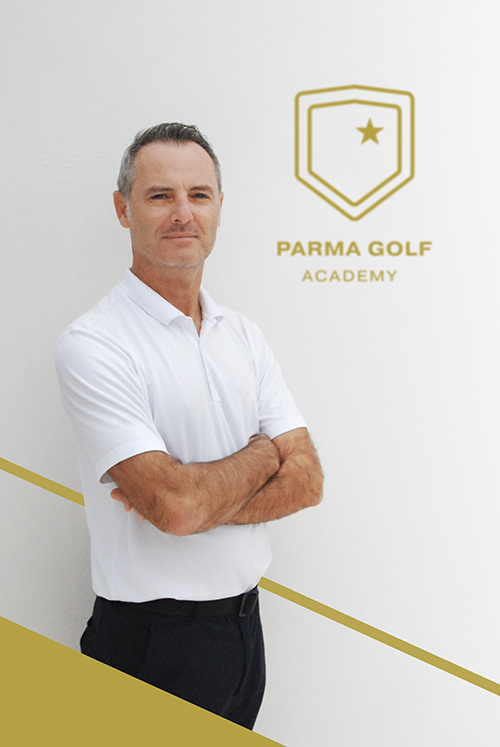 In 2008 becomes member of the Italian PGA. From 2007 teaches in Golf Club La Rocca, CUS Parma and Golf Club Matilde di Canossa. Has built experience in experience and video analysis at golf club Terre Blanche with Alain Alberti coach of Raphaël Jacquelin (Leadbetter Academy).